Samsung Galaxy S8+ SM-G955U Full Phone Specifications. Samsung Galaxy S8 Plus SM-G955U Smartphone was launched in May 2017, comes with a 6.2-inch Quad HD Plus Super AMOLED Capacitive touchscreen display with a resolution of 1440 x 2960 pixels at a pixel density of 529 pixels per inch. The screen of Galaxy S8 Plus is also protected by a Corning Gorilla Glass 5 Scratch Resistant display. The Samsung Galaxy S8 Plus runs Android 7.1 (Nougat) OS and is powered by a 3500 mAh battery. 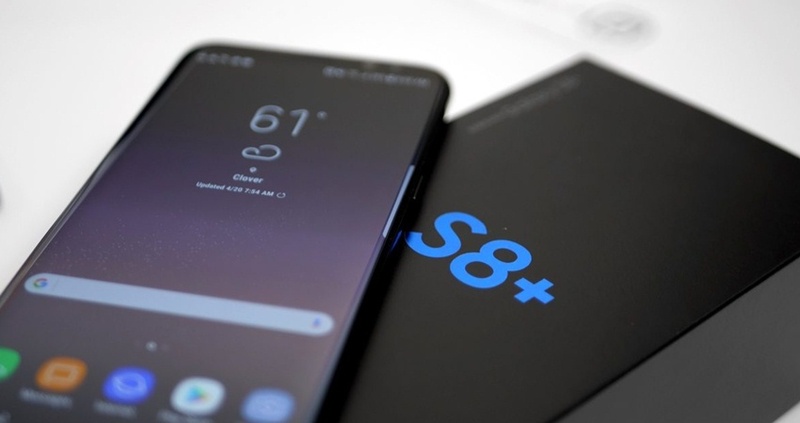 Its a Single SIM Smartphone with Nano SIM, and connectivity options on the Samsung Galaxy S8 Plus include, GPS, HotSpot, NFC,Wifi,Bluetooth. The main camera on the Samsung Galaxy S8 Plus SM-G955U is a 12 MP shooter with Geo-tagging, Simultaneous 4K video and 9MP image recording, Touch focus, Face/smile detection, Auto HDR, Panorama. The smartphone also has a Front Facing Camera capable of shooting 8 MP selfies. Video 2160p@30fps, 1080p@60fps, HDR, dual-video rec.